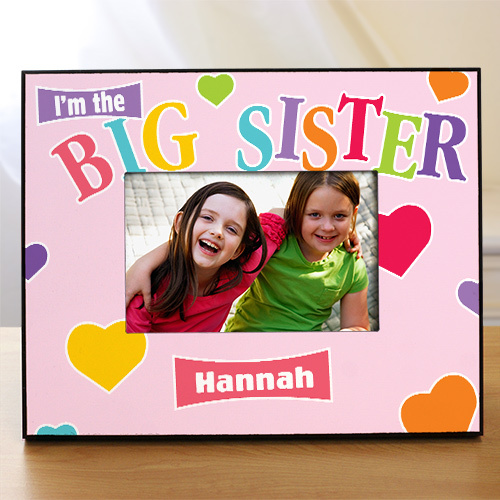 This Personalized Big Sister Printed Frame makes a great keepsake for any little sister getting a new baby brother or sister. Our Personalized Big Sister Picture Frame can be personalized with any name and please specify little, middle or big. Our frames make for the best s because they let your daughter show off her sisterly pride! Shop all of our big sister gifts to find the product that is sure to bring a smile to your daughter's face!